First of all, thank you so much for taking the time to organize a field trip at your school. This is one of the most important challenges humanity has ever faced and every student who is able to attend will only add strength to the climate change movement! Note: Please forward all pertinent information in this letter to your students! We are asking school busses to drop off students at the Vermont College of Fine Arts green between 9am and 10am. If your school will be arriving after 10am, we request that you drop off students directly at the Vermont Statehouse and skip the march. After dropping off students, bus drivers can find ample parking either in the front parking lot at Montpelier High School (the dirt parking lot) or at the State of Vermont Department of Labor parking lot. Parking for cars is available in many locations throughout Montpelier, but we will post more information on our website once we receive it. We are asking busses to pick students up on the side of the Statehouse between 1:20 pm and 2:00pm. Some schools will need to leave earlier than others, so if you can hold off on picking up your students until closer to 2:00pm that would be very helpful. Earlier pickup is also possible, though you may miss closing remarks. Email me at mhenchen@wwsu.org if you need to leave early. The march from the VCFA green to the Statehouse Lawn will begin promptly at 10:15. All marchers are required to stay in one lane of the road and obey all instructions given by the parade marshals. Our goal is to produce as little trash as possible and give all attendees opportunities to recycle and compost. Here are a few simple steps to help you pack a lunch that is waste free! Use a cloth napkin (i.e., one that can be washed and re-used) instead of paper napkins or towels. 3. Pack metal utensils instead of plastic. Do not use plastic bags. Remember to compost your food scraps at the end of lunch, recycle any plastic containers (that is not a reusable one from home) and bring home any containers, napkins or utensils to be washed and used again! This small change will end up making a big difference. While there will be some supplies and an opportunity to create banners and signs from 9am-10am at the Vermont College of Fine Arts green, we are highly recommending that schools create most of their signs ahead of time. There will be a number of tables where students can learn more about climate change, energy alternatives, and proposed climate change legislation. Students who take the opportunity to learn from these resources will have the chance to win some great prizes toward the end of the rally. Each bus will be met by a member of our event staff who will review the day’s activities and go over the expected code of conduct. While we highly recommend that schools create their own signs and banners before the event, there will also be materials available on the VCFA Green to create additional signs and banners. Schools who arrive to the VCFA lawn by 10:00am will be given directions to join their school-related groups and get in line for the march. The march will begin sharply at 10:15am. Students will march with their school groups along one side of the road to the Statehouse Lawn, being careful not to disrupt the flow of traffic on the other side of the road. Peace in the Valley, a student band from the Mad River Valley will begin playing music at 10:30am. Students will be encouraged to visit all of the booths on the lawn. There will be booths related to the basics of climate change, alternative and clean energy alternatives, divestment and carbon pollution tax legislation, Vermont gas pipeline, waste and compost, climate change denial, among many other topics. This will truly be an educational and informative event! Students will be encouraged to learn as much as they can by engaging in a scavenger hunt, which can lead to amazing prizes! There will be some introductory remarks by various speakers on the topic of climate change and climate change related legislation. After a last-minute cancellation by Xiuhtezcatl, UVM college student and VPIRG intern Jack Hanson offered to entertain and inform us along with his band. Students can find a nice place on the lawn to share the zero-waste lunch they brought with them and listen to some more great music. We’re also working on getting some free ice cream from Ben and Jerry’s! And, of course, you can also finish your scavenger hunt as well. We will close our day with our drawing for prizes, brief closing remarks, and the collective singing of the Vermont State Song, These Green Mountains. After everybody chips in to pick up the Statehouse lawn, schools will meet their busses at their assigned time and place. There may be ongoing and related festivities not sponsored by the VT Youth Lobby. 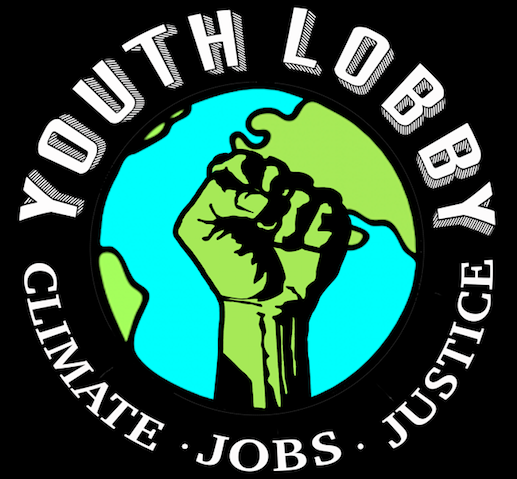 List of Vermont Senators and Representatives that voted in favor of Divestment – Send them a big Thank You! If you do not see your local representative on that list, send them a quick note or make a brief phone call asking them why they do not support divestment and encourage them to do so. 3) Write a letter to the editor of your local paper in support of divestment! 5) Ask your town’s Selectboard to support divestment! 6) Volunteer with 350VT at local events! 7) Encourage your teachers to send a note in favor of divestment. This is especially powerful since they are the beneficiaries of the VT pension. 10) Spread the word in any way you can via social media!